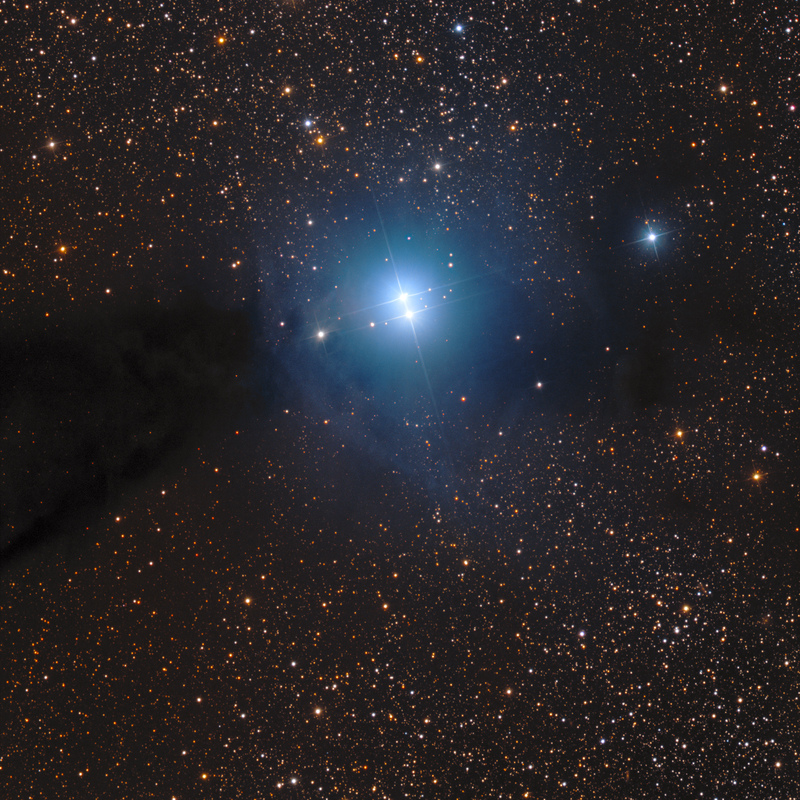 Bernes 149 (B149) is a reflection nebula (GN 16.05.2) in the midst of a dark cloud (Lupus 3) in the constellation Scorpius. �New stars are forming in the dark cloud. According to Lombardi et al (2008) the Lupus cloud complex is about 500 ly distant.